In our first blog post, we defined the purpose of the ISS Archaeological Project (ISSAP): to study the material culture of the International Space Station so we can understand the microsociety created by the astronauts who live there. This is actually not so different from what archaeologists do when they study any other site inhabited by humans – it’s really just the context of outer space, and the fact that the period of habitation is contemporary with us, that might seem odd. But these differences do require us to work differently, and to develop a new methodology. The most common kinds of archaeological study focus on individual sites or landscapes. Archaeologists usually travel to the areas they want to investigate, and then either excavate them (removing soil to find evidence for past human behaviors), or survey them by walking across a territory and recording the structures and artifacts they find on the surface. Additionally, archaeologists might use techniques that allow them to investigate a site or landscape from a distance – we call these techniques remote sensing. Remote sensing includes the use of radar, magnetometry, or measurements of electric resistance in the soil to create an image of what lies underneath; it also includes the use of aerial photography, laser survey of points in a landscape, or satellite images made using various light wavelengths to show what cannot be seen by the naked eye from the ground. Unfortunately, we’re never going to be able to go to the International Space Station and study it in person as archaeologists. Among other things, it currently costs roughly US$75 million to send one astronaut, and there’s no grant that will give us that kind of money! Also, the space agencies involved in the ISS have only committed to using it until 2024, and once they stop using it, they plan to de-orbit it, allowing it partially burn up and fall into the Pacific Ocean (as happened with the Russian space station Mir in 2001). Unlike many other sites of human habitation that archaeologists want to study, ISS will be completely destroyed. So we have to figure out another way to examine this site. It’s lucky for us, then, that NASA, ESA, and Roscosmos have been documenting life on the space station ever since people started living there in November 2000. It’s especially lucky that the habitation of ISS coincided with the development and widespread adoption of digital photography, which allowed astronauts to take many more pictures than ever before. For example, NASA’s Johnson Space Center has a Flickr account that currently hosts more than 24,000 images over the 51 expeditions to-date (not all of these show life onboard the station; some show training, launch, and landing of the various astronaut teams). These are just the tip of the iceberg, though: when we visited Johnson in March, we were shown NASA’s image database, which contained 25,000 images relating just to the onboard use of the Combustion Integrated Rack, a piece of research equipment in the US Destiny laboratory module. We estimate that there are well over a million total images (perhaps several million!). These images will form our primary dataset. We will use them by cataloguing the crewmembers, spaces, objects, and activities in each one. We’ll be using the photographs as proxies for being present at the site we want to investigate. A key component of digital photographs is their metadata – the information encoded in image files showing which camera produced the image, at what exposure, and (most important for us) the date and time that the image was made. The metadata therefore allows us to know what moment is represented by each photo. We can identify the order in which the images were made, which will allow us to track people, tools, and behaviors around the ISS over time. We can even map patterns of activities, presences, and absences. Who uses which modules? Who is rarely or never present in certain spaces? Are there tools or other items that are associated with specific people or groups of people? 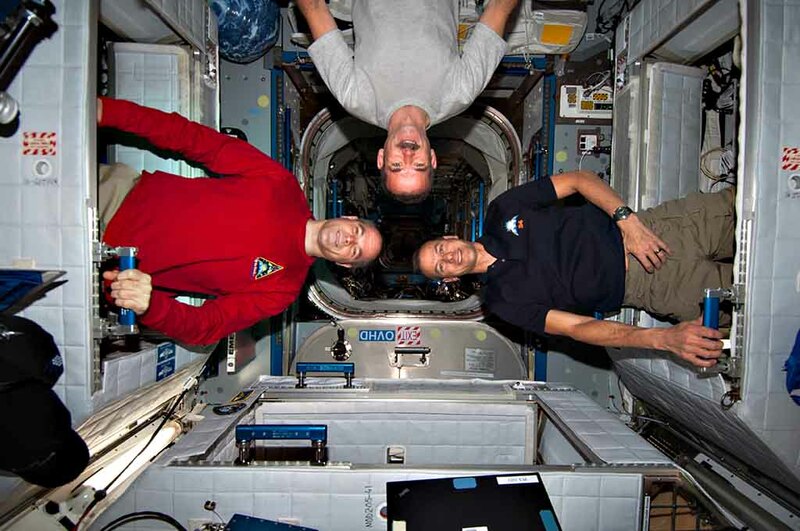 How does microgravity affect the use of spaces or objects? 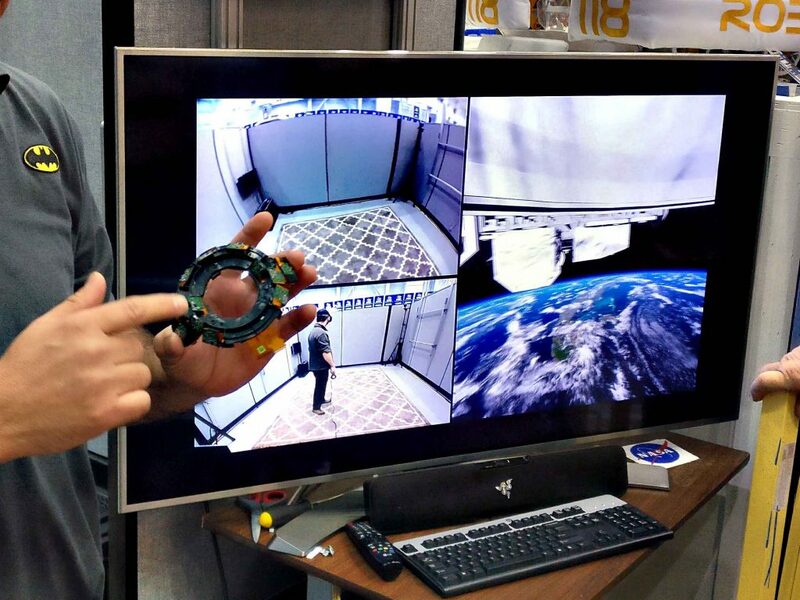 There are some other datasets that we plan to take advantage of – for example, NASA’s Inventory Management System, which contains records of every item sent to the space station (130,000 so far, with 60,000 active entries); and the virtual reality model of the ISS that NASA has developed to train new crewmembers. We hope to place the digital photos over the spaces in the VR model that they depict, indexing them for time. In this way, we’ll create a 4D digital model of the ISS, in which we can choose a moment in time and observe life in the space station. Clearly, we are talking about a lot of information here – the length of ISS’s occupation, the number of people involved, the vast array of objects depicted in the photos, and, of course, the staggering number of images. We have some ideas about how to tackle the problems presented by all this data, too. For one thing, we’ll be asking you to help classify the spaces and objects seen in the images. Crowdsourcing has been a popular approach for other scientific projects, and we’re eager to apply your skills, energy, and interest to this material. We also will be exploring the utility of machine learning, an emerging field of artificial intelligence, to see whether computers can be trained to recognize crew, spaces, and objects in digital images. In the end, ISSAP will use our collected data to identify the meanings associated with the spaces astronauts inhabit and the objects they use – meanings which may not even be apparent to themselves – and we will be able see what kinds of adaptations they make in order to live in space for long periods of time. What is ISS Archaeology all about? Hello, everybody. Welcome to the International Space Station Archaeological Project (ISSAP), the first-ever large-scale1You may be wondering why we use the qualifier “large-scale” to describe ISSAP as the first investigation of a human site in space. There has been one earlier project, led by our friend and mentor, Prof. Beth O’Leary. Beth and her students at New Mexico State University studied Tranquility Base, the landing site for the Apollo 11 mission, as part of the Lunar Legacy Project. They were able to identify 106 objects that were left behind by Neil Armstrong and Buzz Aldrin – some on purpose, and others merely to shed weight for liftoff. Beth also successfully led the way, together with Wayne Donaldson and Lisa Westwood, in gaining protected status for the objects at Tranquility Base under California and New Mexico law. You can read about their work in the new book The Final Mission: Protecting NASA’s Lunar Sites (University Press of Florida, 2017). archaeological investigation of a human habitation site in space! We are leading archaeological work – and social science more generally – into an entirely new context. We hope you’ll follow along with us, and maybe even help us to do our research. We are space archaeologists. Space archaeology is the study of material culture associated with human activity in space (or human activity on Earth that is directed at space). The idea behind our project is that as humanity is extending its footprint off the Earth, new behaviors are being developed. 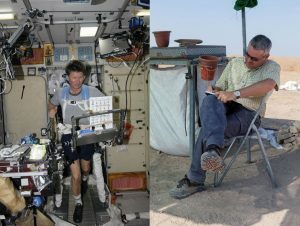 Astronauts experience a radically different environment from the one in which humans evolved – different (or no) gravity, different (or no) atmosphere, much higher levels of radiation, you name it. They do not have access to the same range of supplies, tools, personal items – or people – that they do on Earth. At the same time, public space agencies and private commercial entities are looking to plan much longer missions than ever before, to Mars and to deep space. Members of Expedition 34 in their crew compartments. Photo by NASA, used under CC BY-NC 2.0 license. We believe that the social sciences, such as archaeology, can be extremely useful for understanding how humans adapt to this new environment. 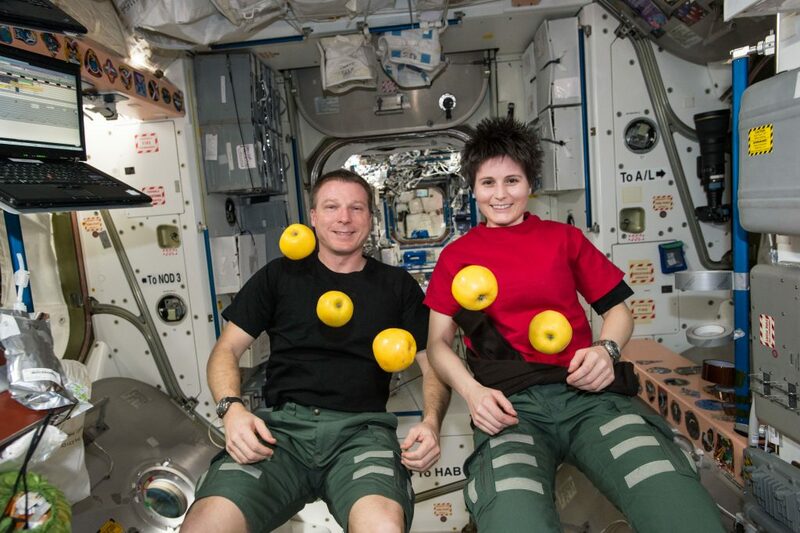 For decades, space agencies have studied the physiological effects of spending time in space. They have also studied the psychological effects of being confined in dangerous, remote, and isolated contexts, such as a spacecraft (but also looking at analogous contexts such as Antarctic research stations or nuclear submarines). So far, however, there has not been a single study of a spacecraft as “a microsociety in a miniworld.”2I wish we could say we invented this phrase, which perfectly encapsulates what we want to examine in ISSAP. It actually comes from the National Academy of Sciences report Human Factors in Long-Duration Spaceflight (written all the way back in 1972!). Astronauts have to form their own societies, maintained through a unique culture, in order to operate effectively, accommodate each other, form bonds, collaborate, lay claim to spaces or share them, communicate, construct identity, even to have disputes and resolve them. It is our contention that the structures of the microsociety on board the International Space Station will become visible to us by looking at its material culture – the built spaces and the objects placed there by the crew – and the associations of crewmembers with that material culture. We plan to test this theory over the coming months, and, yes, years, by cataloging, mapping, and analyzing our observations of the ISS over its sixteen years of continuous occupation to date. The result will be the first conclusions about how humans adapt to space and build communities there. We believe this work will not only be interesting for scholars – it will also help planners of future missions do their jobs better. Next: How are you going to do that? Follow us here and at @ISSarchaeology on Twitter! We regularly announce new content on our Facebook page! 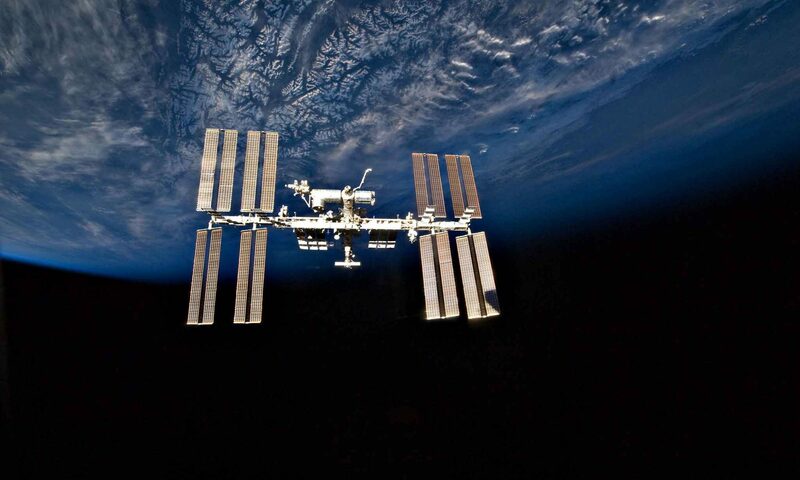 ISS Archaeology is the first large-scale space archaeology project. It is led by Dr. Alice Gorman (Flinders University-Adelaide, SA, AUS) and Dr. Justin Walsh (Chapman University – Orange, CA, USA).